The winter weather has finally started to ease its grip on the north east and Northern Isles. Only one Aberdeenshire school - Kincardine O'Neil School - was closed, although dozens still had transport problems. 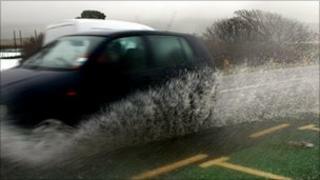 Grampian Police said the vast majority of the region's roads were clear. However flooding was causing problems on the A90 between Crimond and the Cortes A952 junction, and also on Orkney roads. There had previously been 16 consecutive days of winter problems after the snow arrived on 24 November. The Scottish government said fuel supplies were now returning to normal.